Liberty Intl. - Kona Intl. Excellent for family. My kid loved the activities, pools, slides. It was quiet and the maintenance was first class. The condo came completely furnished with useful items we weren't expecting. The staff was very easy to work with. We would stay here again. Excellent relaxation place in Big Island. Love to visit one more time. 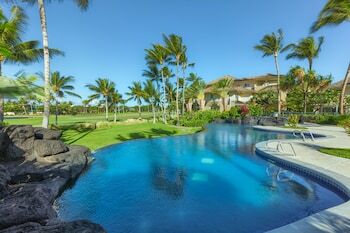 Hunting for great-value Waikoloa tickets? Keep more cash in your wallet by letting the specialists at Orbitz bundle your hotels and flights. If you simply package your bookings, you can save up to $857*! Simply take your pick of hotels, airfares, rental cars and experiences. With 500 airlines and no less than 500,000 accommodations on our worldwide database, you've got the freedom to pick who you'll fly with and where you'll stay! No matter what kind of experience you're searching for, there are limitless options to tailor the trip of your dreams. Do you want rewards quick? We've invented a straightforward system — just continue booking with us and you'll receive instant Orbucks! 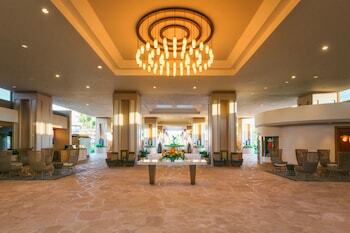 Want perks, like complimentary breakfast and Wi-Fi, at Orbitz Rewards VIP Hotels? Just stay four nights for gold status and 12 nights for platinum in a full year. And how do you redeem Orbucks? It's a cinch! You can use your Orbitz Rewards points on the following booking. The excitement's bubbling inside. You're on the brink of booking a ticket. But hang on a sec — you don't have a clue where Waikoloa is! Allow us to point you in the right direction. You'll find it approximately 160 miles southeast of Honolulu, the state capital of Hawaii, and around 12 miles north of Kailua-Kona. This area of Hawaii Island is home to around 5,000 people. Hapuna Beach State Park is worth a visit. Allow a few hours to discover this much-loved attraction. 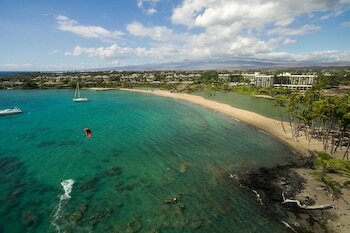 Let your kids burn off some energy while you relax with a good book in the fresh sea air at Mauna Kea Beach. Want more? Are you a golf lover? You'll love working on your game at Hapuna Golf Course. But wait, that's not all there is. Dust off your lucky ball and delight in a fun game of golf at Waikola Village Golf Club. Nothing is as fun as exploring somewhere new with your own set of wheels. If you're after car rentals in Waikoloa, Orbitz is here to help. If you're after a ride from Waimea-Kohala Airport, unfortunately, there aren't any car rental outlets right next to the terminal. You'll have to find another way to journey into town, 10 miles away. Impatient to kick off your vacation? Sort out your room today! Orbitz has at least 24 hotels in Waikoloa. There are some suitable hotel options available on the island. 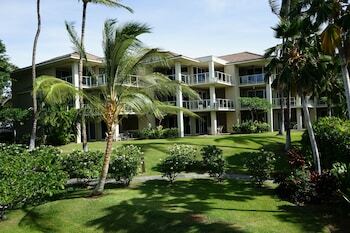 We recommend the Lava Lava Beach Club and Mauna Lani Terrace Condominium. After being stuck in a cramped seat all day, you'll be happy to hop off the plane and stretch out at Waimea-Kohala Airport (MUE). Situated 10 miles northeast of the downtown area, this is the main point of arrival for those traveling by air. 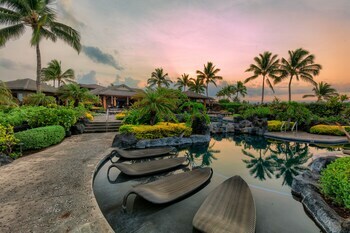 Stay in Waikoloa for its unique personality and feel. Though, there are also world-renowned tourist attractions right around the corner! The Pu'uhonua o Honaunau National Historical Park draws people from every nation. Honaunau, about 35 miles from Waikoloa, is a handy base when visiting this world-famous attraction. It goes without saying that canceling a booking can often be difficult — but not with us! We won't impose a fee, which makes it easy.^ Hotels and airlines can have a similar policy, but it's definitely worth checking first.